Electrify America and Hubject announced collaboration on charging interoperability and “Plug&Charge” technology, that will allow people to pay for their electric vehicle charging simply by plugging in their vehicles. The solution utilizes global standard ISO 15118, which needs to be first implemented in the cars (according to Hubject, already several automakers are beginning to add this capability) and in charging stations (Electrify America’s stations are hardware ready and will get software update later this year). Once cars and stations will support Plug&Charge, the driver – after simple registrations – will be able to plug-in and the charger will recognize the car automatically, taking care of authentication and billing, without use of any access cards or credit cards. It seems that use of electric vehicle charging stations will become more convenient, although we must note that Tesla owners were enjoying such easy authentication (and most recently also billing) for years at the Superchargers. However the general solution for all the manufacturers and charging networks requires middleman and it seems that Hubject is going to fill the gap. “Hubject will provide its expertise to Electrify America in a variety of areas surrounding the implementation of the global standard ISO 15118 into the North American market, the most prevalent functionality for what is commonly referred to as “Plug&Charge.” By bringing ISO 15118 to all Electrify America’s DC fast and home AC chargers, this technology is also the first step to enable EV smart charging and vehicle to grid (V2G) communications. It enables the vehicle to automatically authenticate and authorize a charging session using secure digital communication, eliminating the need for membership RFID cards, credit cards or mobile apps. “With a focus on both future and present-day electric vehicles, Electrify America’s charging systems have a range in power from 50kW, the most commonly used fast charging for electric vehicles today, up to 150kW and 350kW for its highway stations. All of those stations are prepared for Plug&Charge and will be updated with software later this year. The company will install more than 500 DC fast charging station sites in the United States by the end of 2019. 34 Comments on "Electrify America Will Implement Plug&Charge"
Good idea. It needs to be as easy and straight-forward as going to the gas station. Or easier, in this case! Don’t even have to swipe my credit card! Yeah, same thing I say to the legacy, LICE makers. Build EVs instead endless renders and announcements. Check the PlugShare.com user reports. The one at Manchester TN has a lot of user complaints. I visited them three times, twice I got a charge AFTER trying every station. Very unreliable. It’s not uncommon to see that one or more Supercharger posts isn’t working, but in Eastern PA I see that check-in less than I see ones where the Bloomsburg EA station has every post broken. I’m sure they’ll get better. But they have a real reliability problem right now. I have on rare occasion been to a Supercharger pedestal that did not work but simply moved over to the next one (typically 8+ per site now and 10+ is the new norm). Then call then the number on it to report it. 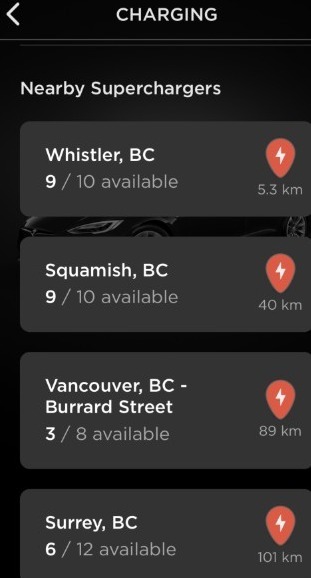 The Tesla phone app (and built-in car screen) also now shows you how many pedestals are available nearby. It’s not really your immediate area that needs one, as much as having a site within 150-200 miles of where you live. Fast chargers are primarily there to enable longer road trips, while home or workplace charging handles the daily commute and local driving. By the time Electrify America finishes up Phase 1 this June a large proportion of the US population should be within reach of the network in a 200+ mile BEV. Yes, EA is the only reason I would consider a non Tesla EV right now. GM and others have said they shouldn’t build chargers, but people won’t buy your car if they can’t charge. CCS still doesn’t go quite where I need, but should by next year or two. Another thing to make sure my next EV has. What EV vehicles do support the ISO 15118 standard? It probably makes more sense to wonder about which CCS cars don’t. Neither approach fixes the real problem, that you need to *register* with each and every charger network. Just support contactless credit card for starting and stopping charging. “Bla bla more expensive” well make charging with contactless more expensive than charging as member then. But provide the option. FastNed just crudely identifies the cars. It can’t be to long that someone simply duplicates another car and keeps on charging on the cost of someone else. I would also prefer a pay as you go approach. I don’t want to register myself with a charging network operator and I don’t want there to be a record that shows when my car has been charged where. Sadly only Tesla seems to know how to do it right. They have a 6 year head start on the competition. I would like to see someone else do it right but so far nothing. Tesla isn’t perfect either. I want to pay for electricity without having to maintain a separate account. Plug in, Pay at the plug with a card or cash, and go. I don’t need my car to talk to the plug. If someone is using my car, they should pay for juice, and they shouldn’t need to set up an account to do it… you know, kind of like every gas station ever. If someone is using my car then it’s someone I trust and don’t mind paying for the lower cost electricity. Letting anyone else drive ot is just plain dumb. Better to run it through the account though. Separate on-demand billing system and charging the couple bucks of electricity to the credit card with the associated fee just doesn’t make sense. I could see a rental car being an issue, but it would be pretty easy for the rental company to just cover supercharging costs as part of the rental fee. It’s also easy for Tesla if the charger operator, car manufacturer, and the service provider is the same company. This is the advantage of a closed network, Apple has demonstrated this well for years. But it also suffers from vendor lock in e.g. you have to accept Tesla prices, you have to accept whatever Service Tesla offers you, etc etc. it might be state of the art noe, but who can tell for the future. I’ll never for the life of me understand why charging networks keeps trying to reinvent the wheel instead of adding a simple POS terminal like EVERY OTHER BUSINESS IN THE ENTIRE WORLD. Because credit card processing fees eat into the already very marginal business case for charging stations. Charging fee of $2.50 + 30 cents credit card processing is a lot of overhead. Better to accumulate billing into an account and charge monthly. You mean 2.5% and 30 cents. It doesn’t look like a lot of overhead. Besides monthly billing has the same 2.5% (or whatever) merchant rate for credit card. It is just coming to a charging station is uncertain event. Somebody may come for holiday travel and charge at home otherwise. Unlike with refueling station, you don’t have steady flow of paying customers but have steady capital and maintenance expense. Sometimes there is a minimum CC charge based on purchase price. Not sure if all charging sessions/needs would be above that. Something to consider. Because there is little business case to charge per kWh, and not to scare customers away by super high rate. I didn’t heard about profitable charging networks at all. Somewhat stable cash flow from monthly fees looks better for them than occasional buyers of few kWh. Good, anything to make the recharging effort easier and faster will help to spur EV adoption! For gosh sakes just install 14-50 outlets and stop mining and monetizing EV driver days. Its not very present in the discussions, but the widespread implementation of this standard will be one of the most important milestones towards the break through of EVs. No. This feature is absolutely meaningless for the adoption of EVs. Swiping a card isn’t hard work. REVOLUTIONARY! Oh.. wait.. Tesla has been doing it for years. This is great, though. Charging should be far easier than pumping gas, eliminating the need for cards or apps in hand is another great step. I wonder though, how quickly this would have come about without Tesla’s leadership in this space? Beyond that, one must wonder if we would even have so many EV’s coming to market and a charging infrastructure at all. I wish Tesla would be recognized as a leader and an ally in the EV space by competitors far more often instead of either being ignored or downplayed. It is easy to say tesla has been doing this for years when they didn’t have a lot of chargers in 2012 either. The bolt ev just came out in 2017. The leaf was out in 2011 and they have a good network in the U.K.
Give electrify America time like tesla has had. Also look at the electrify America map and it has a lot of sites in less than a year. Some states had 1 tesla supercharger in 2012. Stop the bashing of other non tesla companies.